Exclusive! Marlon Brando loved cats. Steve McQueen loved cats. Sean Connery loves cats. Need we say more? 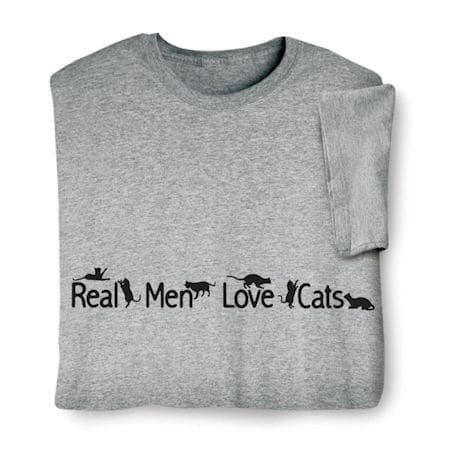 Sport gray sweatshirt is 50/50 cotton blend; T-shirt is preshrunk 90/10 cotton blend. Sizes S-3XL. Imported.